The EUROTEK Advanced Diving Conference is organised by Deep Wreck divers Leigh Bishop and Mark Dixon, dive Industry fixer Rosemary E Lunn and underwater photographer/creative director Jason Brown. Regarded by many as one of the worlds foremost deep shipwreck photographers. He inspired the original idea for Eurotek with his late friend Carl Spencer in 2006 after both men were guest speakers at the Oztek conferences in Australia. The pair spent the next 12 months sourcing a venue and putting the structure of Eurotek into place then bringing Rosemary Lunn in to help organise and further establish the success of the very first conference in 2008. 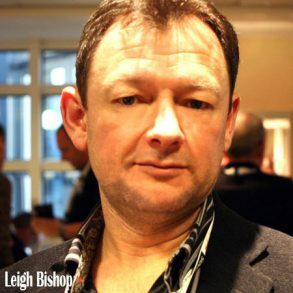 Leigh has been diving since the 1980’s and has been a deep water photographer on just about every major deep wreck expedition. He has dived both the Britannic and Lusitania on numerous expeditions as well as an estimated 400 virgin wrecks in British waters. He has written extensively on the subject of shipwreck exploration and lectures around the world at most major diving conferences. He is a fellow member of the Explorers Club. Rosemary is the Business Development Director at The Underwater Marketing Company. This British firm specialises in providing marketing. communications, social media and event management for the Recreational and Technical Diving Industry. Roz is a PADI IDC Staff Instructor, a BSAC Advanced Instructor, a rebreather and trimix diver. She is a SSI Platinum Pro 5000 Diver, an Associate Member of the Women Divers Hall of Fame, and an ambassador for Poseidon rebreathers. She organised Rebreather Forum 3 (on behalf of the AAUS, DAN and PADI), established TEKDiveUSA, and co-founded EUROTEK with Leigh Bishop and Carl Spencer in 2008. Roz takes an active role in the Diving Industry. She is prolific writer – she is staff author for X-Ray Mag, blogger, and writes for several magazines. 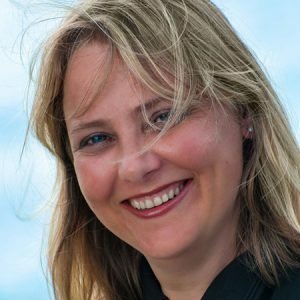 Roz is a guest reporter for Scuba Radio and sits on the SITA Board (Scuba Industry Trade Association). She is currently actively campaigning to get balloon and sky lantern releases banned in the UK. 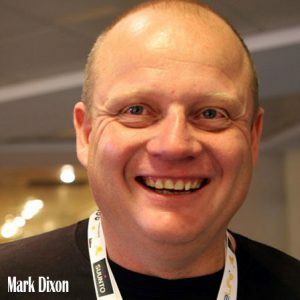 Mark Dixon heads up the UK deep wreck diving team known as the Dark Star. His team has explored the wrecks of the North Channel and Western Approaches off Northern Ireland for many years to depths of 130m. Some of the deep liners they explore lie in some of the most treacherous tidal waters in Europe. Mark came on board the EUROTEK team for the 2010 conference and is instrumental on the business side of the company as well as health and safety. Jason is an acclaimed cave and wreck photographer who’s work has graced the pages of magazines across the globe. He is also the owner of BARDOCreative – a creative marketing services company operating exclusively within the dive industry. With two high-profile photographers on the team, it’s no surprise that Jason and Leigh enjoy a friendly rivalry for who has shot the most magazine covers – to date, Leigh remains in the lead but Jason is slowly but surely catching up! Jason is an experienced photo journalist and features writer who regularly contributes to a number of high profile magazines both here in the UK and abroad. He has written features on a diverse range of diving environments and experiences. From cave diving in France, wreck diving in the UK and exploring uncharted islands deep in the Indian Ocean to the thrill of diving with crocodiles in Mexico – all lavishly illustrated with his eye-catching photography! 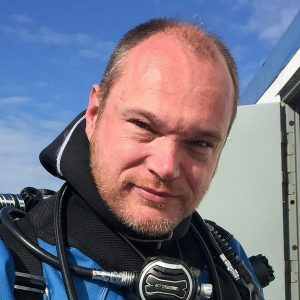 Jason has been actively involved in a number of high-profile diving events in recent years including EUROTEK, TEKDiveUSA, TEKCamp and Cave Camp Mexico. Since 2012, he has been responsible for looking after all visual and branding aspects of EUROTEK. When he’s not making EUROTEK a visual treat, you’ll see him running around shooting our event photography.